This is my favorite time of the year! 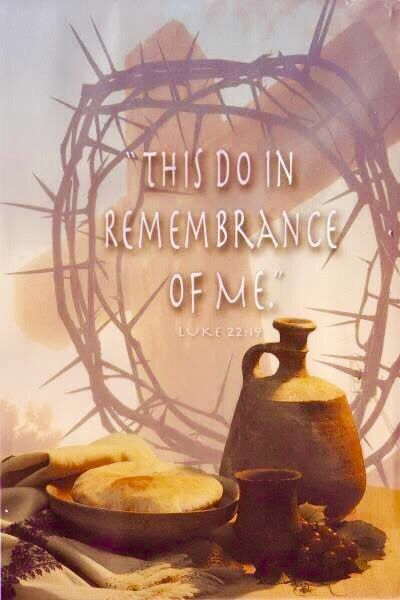 I love Ash Wednesday, Passover, Palm Sunday, Maundy Thursday and then it's quiet until Easter when He rose! I miss the tradition that we learned in the Lutheran Church I worked in, where on Maundy Thursday they stripped the alter and it was quiet. It was like stripping Jesus of everything, his flesh cried out and He wept for He believed His Father had Forsaken Him. Do you ever feel like God has forsaken you? Do you ever feel like He doesn't really know what you are going through? He does! He really cares for you! This day we sing Glory in the Highest, Hosanna, Hosanna. In John 12, John tells us about what happened the week before Easter. 12 Then, six days before the Passover, Jesus came to Bethany, where Lazarus was who had been dead,[a] whom He had raised from the dead. 2 There they made Him a supper; and Martha served, but Lazarus was one of those who sat at the table with Him. 3 Then Mary took a pound of very costly oil of spikenard, anointed the feet of Jesus, and wiped His feet with her hair. And the house was filled with the fragrance of the oil. 4 But one of His disciples, Judas Iscariot, Simon’s son, who would betray Him, said, 5 “Why was this fragrant oil not sold for three hundred denarii[b] and given to the poor?” 6 This he said, not that he cared for the poor, but because he was a thief, and had the money box; and he used to take what was put in it. 41 These things Isaiah said when[h] he saw His glory and spoke of Him. John 1:29 says [ The Lamb of God ] The next day John saw Jesus coming toward him, and said, “Behold! The Lamb of God who takes away the sin of the world! Isaiah in the Old Testament talks about Jesus, usually it is used at Christmas, but I believe it is relevant now too. And He has chosen You. It really does speak of today. The people despise Jesus and God, the Trinity. It abhors it because it scares them just like it did back then. I believe people are afraid of the truth and if they can shut it down, they will. They become Goliaths in our land and shut us up and we willingly like lambs to the slaughter, take it. 13 Now many people, a very great assembly, gathered at Jerusalem to keep the Feast of Unleavened Bread in the second month. 14 They arose and took away the altars that were in Jerusalem, and they took away all the incense altars and cast them into the Brook Kidron. 15 Then they slaughtered the Passover lambs on the fourteenth day of the second month. The priests and the Levites were ashamed, and sanctified themselves, and brought the burnt offerings to the house of the Lord. 16 They stood in their place according to their custom, according to the Law of Moses the man of God; the priests sprinkled the blood received from the hand of the Levites. 17 For there were many in the assembly who had not sanctified themselves; therefore the Levites had charge of the slaughter of the Passover lambs for everyone who was not clean, to sanctify them to the Lord. 18 For a multitude of the people, many from Ephraim, Manasseh, Issachar, and Zebulun, had not cleansed themselves, yet they ate the Passover contrary to what was written. But Hezekiah prayed for them, saying, “May the good Lord provide atonement for everyone 19 who prepares his heart to seek God, the Lord God of his fathers, though he is not cleansed according to the purification of the sanctuary.” 20 And the Lord listened to Hezekiah and healed the people. 23 Then the whole assembly agreed to keep the feast another seven days, and they kept it another seven days with gladness. 24 For Hezekiah king of Judah gave to the assembly a thousand bulls and seven thousand sheep, and the leaders gave to the assembly a thousand bulls and ten thousand sheep; and a great number of priests sanctified themselves. 25 The whole assembly of Judah rejoiced, also the priests and Levites, all the assembly that came from Israel, the sojourners who came from the land of Israel, and those who dwelt in Judah. 26 So there was great joy in Jerusalem, for since the time of Solomon the son of David, king of Israel, there had been nothing like this in Jerusalem. 27 Then the priests, the Levites, arose and blessed the people, and their voice was heard; and their prayer came up to His holy dwelling place, to heaven. We are born again believers in Jesus the Christ who died for us on the cross at Calvary. We love traditions to remember why He died for me. We love how every year, different churches who preach the WORD of THE LORD JESUS the CHRIST, teach the followers of JESUS the meanings of what happened for US. Sometimes, people only make it to church on Easter and Christmas. We do not fit into a denomination. We would love to see you in church every Sunday, but I can not speak ill of those that don't because we don't make it to church. We study on our own, but it really is more for the fellowship of other believers that is helpful in your faith journey. Going to church will not save you, it may increase your knowledge, your faith walk, your friendships, but it won't save you. Saving Grace is only through Jesus, asking him to live in you, asking him to be your dwelling place, then inviting him in. Turning from the things that he doesn't like and following His ways and not our own. We all have a million reasons why or why not for going, but the truth is, it is up to you whether you go or not. One thing we want from today's message is That you believe in Jesus, you believe that He died and rose again for you. 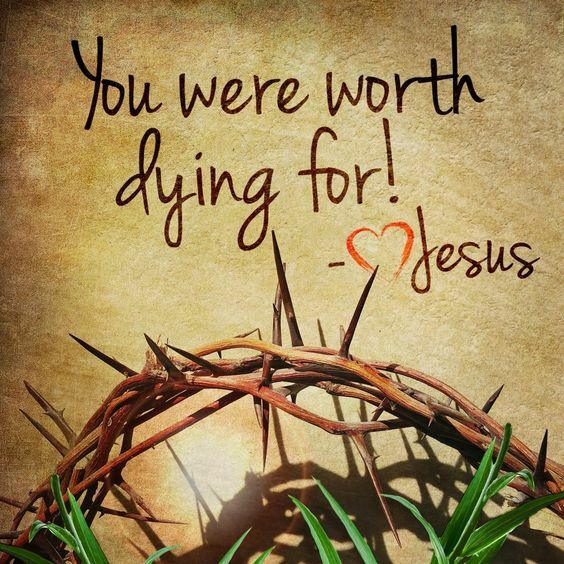 He did this for your salvation. 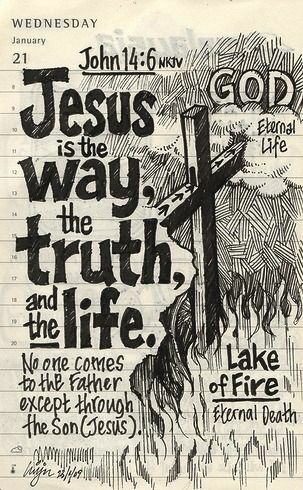 He is the Way, the Truth and the Life. No ONE COMES to the Father except through Jesus. He is the only way. One Way! That's it. We want you to know also that You are loved. No matter what you have done in your past, your Father and His Son Jesus loves you and so do we. In Galatians 3:20 Paul, who had helped crucified Jesus, went after the disciples and the followers of Jesus. However, Paul got stopped, blinded and found out he really didn't know Jesus at all. Because of his refusal to know him, he tried to destroy all of them. 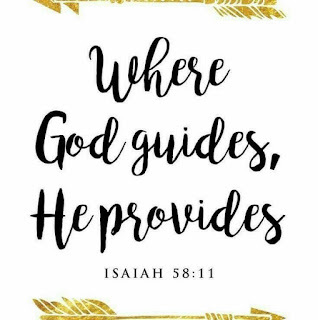 But when the Lord stopped him, he repented, then the Lord took him to the backside of the desert and taught him all he needed to know. Paul got so "on fire" for the Lord. I mean to tell you! (haha). He really did. Paul's conversion is about Easter! Because Jesus rose again, Jesus found Paul on the road. Read more here. Acts 9:1-19; retold in Acts 22:6-21 and Acts 26:12-18. • After his conversion, Saul changed his name to Paul. • The conversion of Paul shows that Jesus himself wanted the gospel to go to the Gentiles and that it was no human being's idea. That would quash any argument from the early Jewish Christians that the gospel was only for the Jews. • The men with Saul did not see the risen Jesus, but Saul did. This miraculous message was meant for one person only, Saul. • Saul witnessed the risen Christ, which fulfilled the qualification for an apostle (Acts 1:21-22). Only those who had seen the risen Christ could testify to his resurrection. • Jesus did not distinguish between his church and his followers, and himself. Jesus told Saul he had been persecuting him. This serves as a warning that anyone who persecutes Christians or the Christian church is persecuting Christ himself. • In one moment of fear, enlightenment, and regret, Saul understood that Jesus was indeed the true Messiah, and that he (Saul) had helped murder and imprison innocent people. Saul realized that despite his previous beliefs as a Pharisee, he now knew the truth about God and was obligated to obey him. • Saul of Tarsus possessed perfect qualifications to be an evangelist for Christ: He was versed in Jewish culture and language, his upbringing in Tarsus made him familiar with the Greek language and culture as well, his training in Jewish theology helped him connect the Old Testament with the gospel, and as a skilled tentmaker he could support himself with that trade. • When retelling his conversion later to King Agrippa, Paul said Jesus told him, "It is hard for you to kick against the goads." (Acts 26:14, NIV) A goad was a sharp stick used to control oxen or cattle. Some interpret this as meaning Paul had pangs of conscience when persecuting the church. Others believe Jesus meant that it was futile to try to oppress the church. The same Jesus Christ who rose from the dead and did such a mighty work in Paul wants to work in my life too. What could Jesus do if I surrendered as Paul did and gave him complete control of my life? From Oswald Chambers- Identified or Simply Interested. The inescapable spiritual need each of us has is the need to sign the death certificate of our sin nature. I must take my emotional opinions and intellectual beliefs and be willing to turn them into a moral verdict against the nature of sin; that is, against any claim I have to my right to myself. Paul said, “I have been crucified with Christ….” He did not say, “I have made a determination to imitate Jesus Christ,” or, “I will really make an effort to follow Him” —but— “I have been identified with Him in His death.” Once I reach this moral decision and act on it, all that Christ accomplished for me on the Cross is accomplished in me. My unrestrained commitment of myself to God gives the Holy Spirit the opportunity to grant to me the holiness of Jesus Christ. “…and the life which I now live in the flesh,” not the life which I long to live or even pray that I live, but the life I now live in my mortal flesh— the life which others can see, “I live by faith in the Son of God….” This faith was not Paul’s own faith in Jesus Christ, but the faith the Son God had given to him (see Ephesians 2:8). It is no longer a faith in faith, but a faith that transcends all imaginable limits— a faith that comes only from the Son of God.